Mijn Telfort app | Elements Interactive — We build applications! We work closely with our long-time partner KPN to develop and maintain several mobile apps. This includes the the Mijn Telfort app which had a third major release in February 2016. 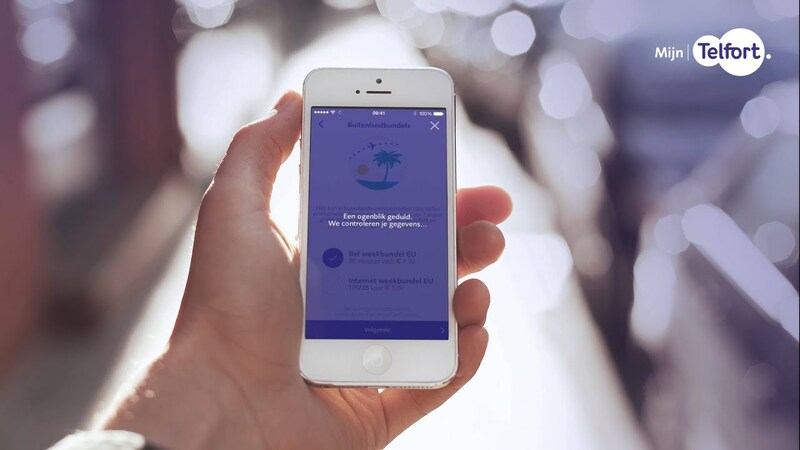 The Mijn Telfort app offers customer self-care solutions for detailed insights in subscription data usage or prepaid credits, invoice retrieval, the possibility to order additional bundles and ways for the user to change settings themselves. Elements was responsible for the visual design of the app and the development for iOS and Android. The Mijn Telfort app is available for free in the Apple App Store and Android Play Store.